I just wanted to again express our sincere thanks to you and Shaun for making our first (and certainly not the last!) safari absolutely an unbelievable experience for both of us. We both had high expectations and wishes for this trip, and they were exceeded greatly. We are still on cloud nine! 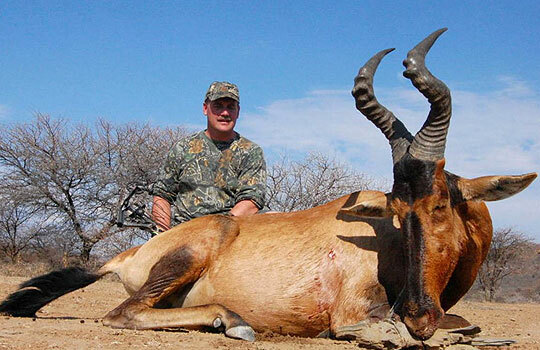 Classic Bow Hunting Safaris have become increasingly popular amongst discerning archers with a variety of species on offer. 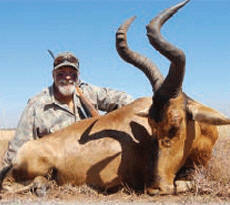 Our Professional Hunters are highly qualified, experienced and technically competent with the advice they offer for tough African game and the hunting methods. We are proud to have carefully selected exclusive to bow hunting areas to ensure maximum success and quality of trophies in your hunt. 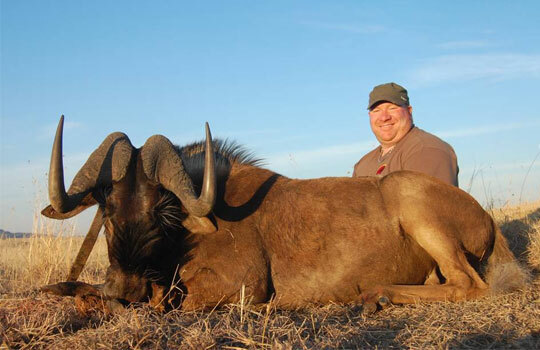 A combination of the above factors and the expertise of renowned Professional Hunters will ensure the Bow Hunter an unforgettable Safari of a lifetime. By far the majority of successful bags are made from permanently constructed blinds. These are situated approximately 20 yards from waterholes and salt licks. 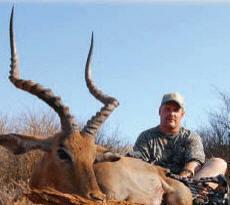 Depending on the terrain, sun and wind direction you will hunt out of ground, pit blinds or a permanent elevated blind. These blinds are comfortable with enough space to move in while you anxiously wait for your unsuspected quarry to join the party. This method is used for those species that do not frequent the waterholes. This method is more productive during the early part of the season (April, May) when sufficient cover is still available to make stalking possible. 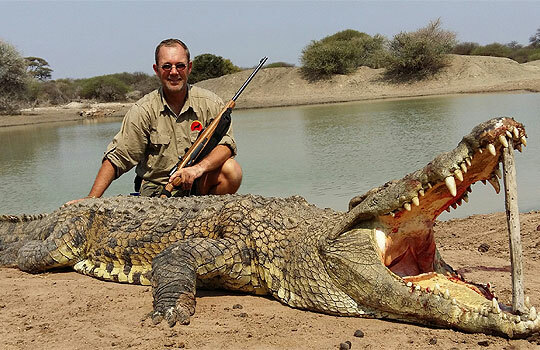 The terrain hunted will play a big roll in the success of this method; it is for the diehard Bow hunters amongst us, tough but quite possible if conditions are favourable. Fixed three or four bladed broad heads is recommended. Traditional archers should advise the length of their longbows to enable any adjustments to existing blinds to be made prior to the safari. Many game birds are available, including 14 species of Ducks, 2 types of Geese, 10 Francolin, 2 Guinea-Fowl, Pigeons, Doves, and Quail. 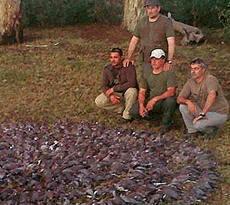 South Africa’s bird hunting is excellent, comparing favourably with some of the best known venues in the world. 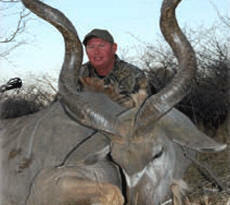 Rifle hunting is mainly done through the spot and stalk method. Once game or fresh sign has been spotted or found the stalk is planned and the game is on. 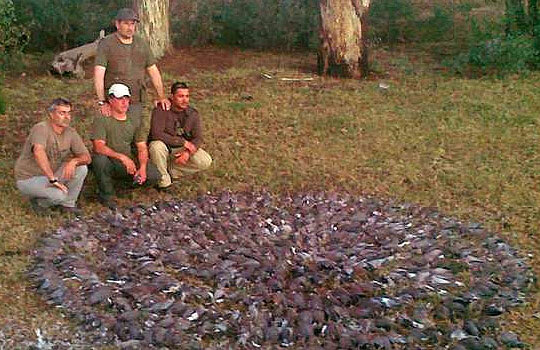 This is one of the most exciting and rewarding hunting methods. Any species available in an area can be bagged using this method. 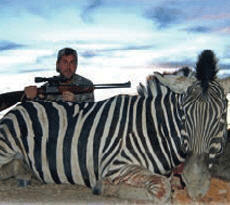 Only premium grade bullets should be used on all African animals. 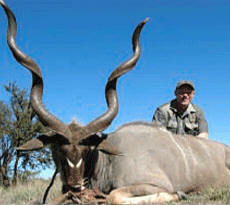 Obtaining rifle import permits to South – Africa is a fairly simple process in which we will assist you.